When I started Web Design Fact few months ago, my prior knowledge was limited to web development and writing code only. Since then, have spent literally hundreds of hours expanding my knowledge into different areas such as SEO, online advertising, keyword research and web project management. Specifically, I have focused on accepted SEO techniques, keyword research and small business practices. For this I have uses several resources available on net, and I found one that must shared with you all. 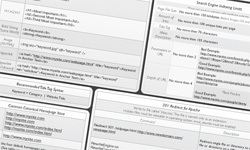 Here is the mother of all SEO cheat sheets in PDF format. 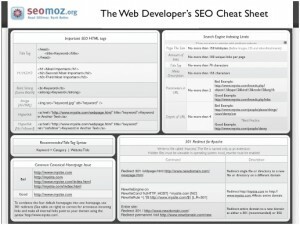 This cheat sheet was created by SEOMoz.Org. Here is screenshot of it and download link on it. Enjoy! Nice information on web developers, Thanks for the post! This is a great article and gives everybody amazing to think about. The feature of this post is outstanding!